Wickr Enterprise is a self-hosted private Wickr Network where your organization can securely communicate. 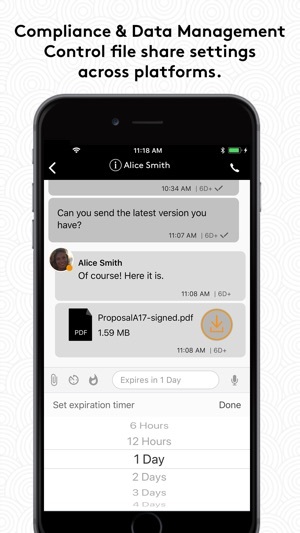 Install Wickr Enterprise on your corporate device to collaborate in a secure on-premise environment built with the world’s most advanced multilayered encryption and ephemerality. 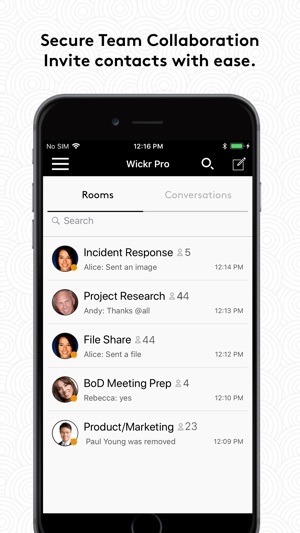 On Wickr Enterprise, you can privately communicate with your colleagues, place encrypted calls and hold video conferences, send encrypted files and collaborate in secure rooms. • Securely message across your organization. • Create secure rooms for your team and projects to collaborate privately. • Share and review files anywhere, on any device. • Place end-to-end encrypted video calls 1:1 and with groups. • Easily search your existing conversations for keywords and files. 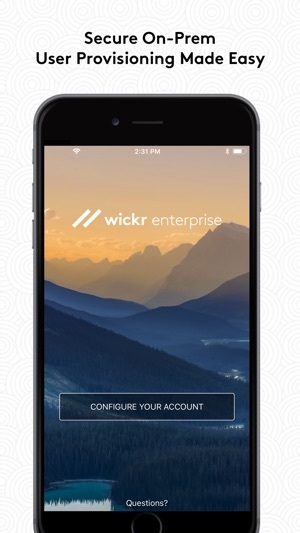 Thank you for using Wickr Enterprise! - New Contact Screen interface to make it easier to find the people you want to securely communicate with. 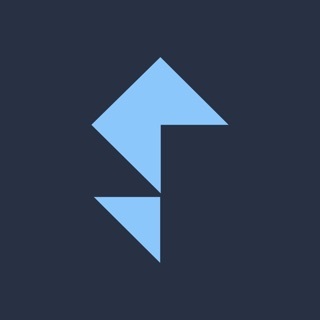 - Location Sharing - Added support for sharing your location with other users, via link or map. - Share Activity - Allow other users to see if you’re online, idle and last time active. Now indicated by a green dot next to your avatar. - Wickr Open Access Strict Mode - Network Administrators can now force network users to have Wickr Open Access always enabled. - Improved interface for adding users to rooms, conversations and calls. 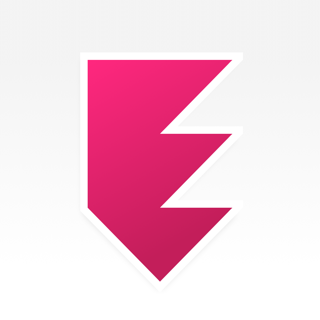 - New User Guided Tour - in-app guide covering Wickr features for new users. - New navigation tabs for Rooms, Conversation, Contacts and Settings. We already tried the other versions of Wickr, and this one is even better with on-premise feature set. This is some super serious private comms app. Really good for businesses that need extreme privacy and a tight control. This is the Fort Knox of encryption for large corporations. Wickr Enterprise is the real deal and as secure and encrypted as possible. I feel bad for hackers.